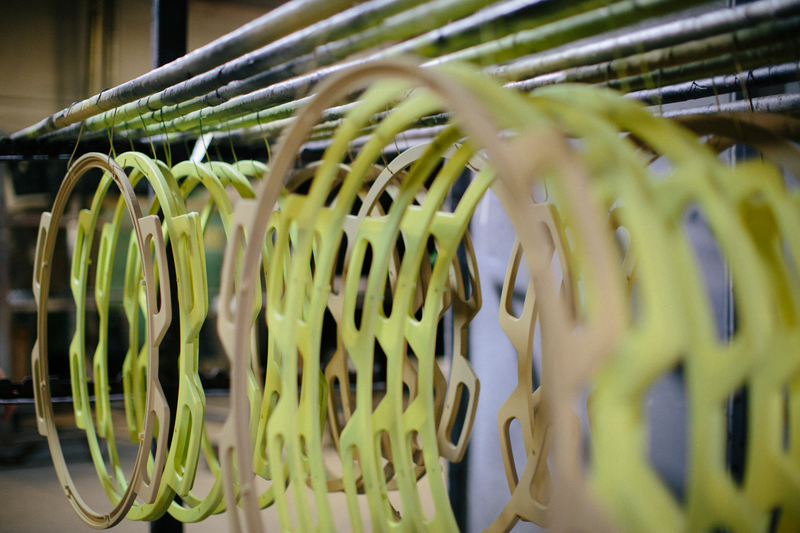 At Triad Product Finishing we take finishing parts seriously! We want to be partners with you in finishing your parts. However, if you are an angry person with a negative outlook on life, don’t call us. If you’re looking for fast, hassle-free quotes on your large run job or your small run job, you’ve come to the right place! 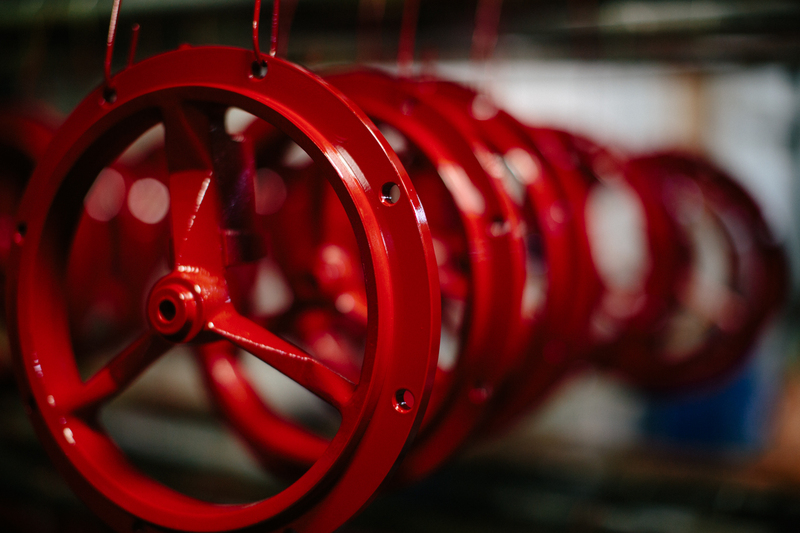 At Triad, we’ve been committed to quality powder coating and liquid coating since 1985. Our vast experience allows us to provide customers with a quick turnaround on jobs. We offer national shipping and receiving to ensure that your materials arrive on time and in perfect condition. 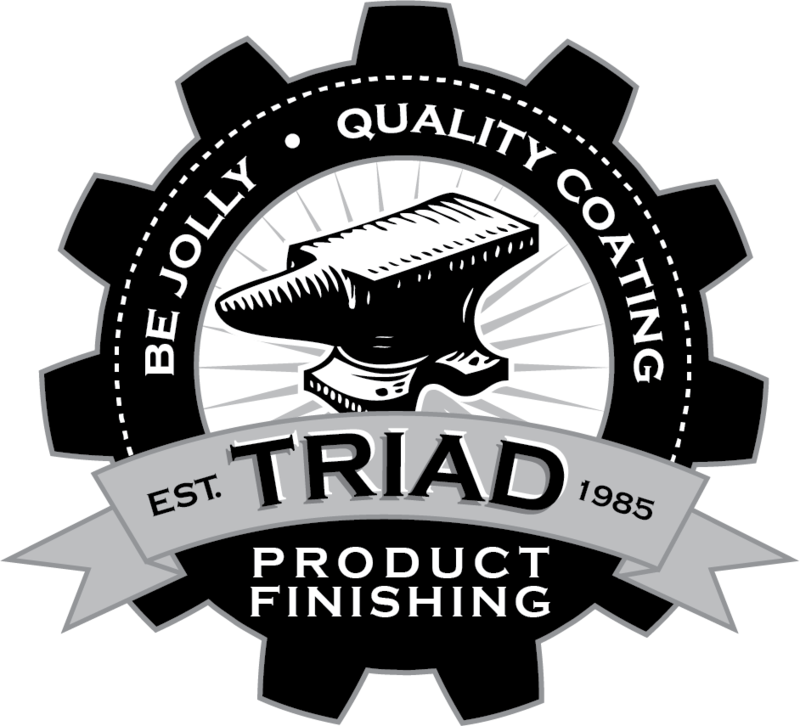 Triad has extensive coating experience and provides expert finishing consulting. We’re happy to advise customers on their coating selection. Triad is renowned for quality Mil-Spec coatings and CARC finishes. Other shops just can’t handle these jobs like we can! We also do sandblasting/pretreatment, detailed masking, and screen printing. An excellent quality control program and calibrated test equipment guarantees our commitment to providing you with superb results. For over 30 years Triad has serviced more than 1,000 customers from a diverse range of industries. A leader in application of Polyurethane’s,Epoxies, water-based, and specialty Mil-Spec coatings. Triad has the experience to apply quality finishes from high gloss to textures. A leader in the application of polyurethanes, epoxies, water-based coatings, and specialty/Mil-Spec coatings. Our screen printing process allows for durable and intricate captions or graphics to be applied on a wide variety of substrates and product sizes. We develop our own compatible inks. We apply non-stick coatings for high temperature, low coefficient of friction, and anti-galling uses. Triad also provides dry film lubrication coatings. Manufacturers look to Triad for a broad selection of quality powder and liquid coating technologies. We are experienced in delivering solutions to many industries’ coating problems and needs. Triad specializes in military coatings. We are experts in job shop work both locally and nationally. Protecting our troops from chemical and biological agents in warfare is very important. Triad can apply the CARC system including blasting, pretreatment, prime, and topcoat. We are Mil-Spec compliant. Triad offers many finishes for the medical equipment industry. We paint metals and plastics in unlimited colors and textures. Many customers rely on Triad to provide color matching, fine masking and decorative finishes that can be applied to covers, chassis, and general equipment. We have the expertise to finish large or small runs in a timely manner. 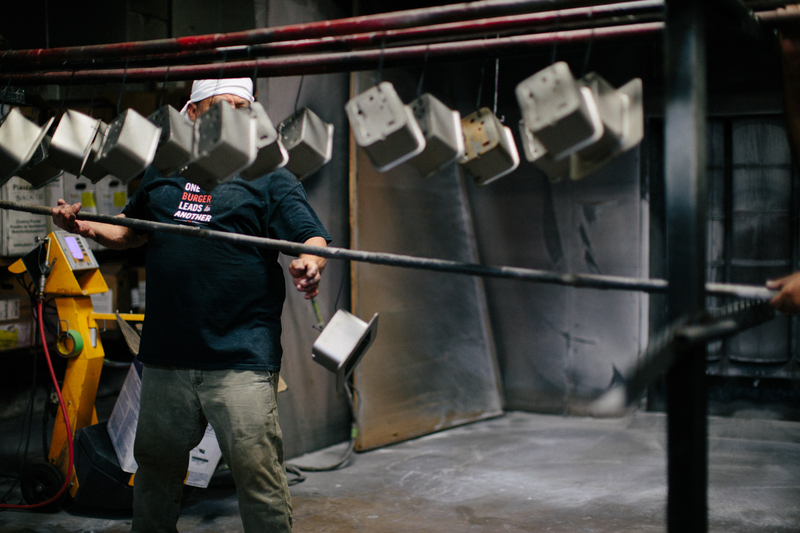 Triad uses a wide range of coating solutions to protect and decorate automotive parts and accessories including pretreatment, primer service, base and clear coating. We’ve finished everything from flexible trims, coils, bumper systems and panels to rigid break systems, sway bars, motors and axles. Triad has refurbed thousands of computer, telephone, and cell phone housings. We have the ability to clean, strip, and re-coat almost any product in the electronic/telecommunication industry. Some examples of equipment we service are: set-top boxes, business phones, cell phones and computer chassis. We also liquid coat or powder coat new metal or plastic products. 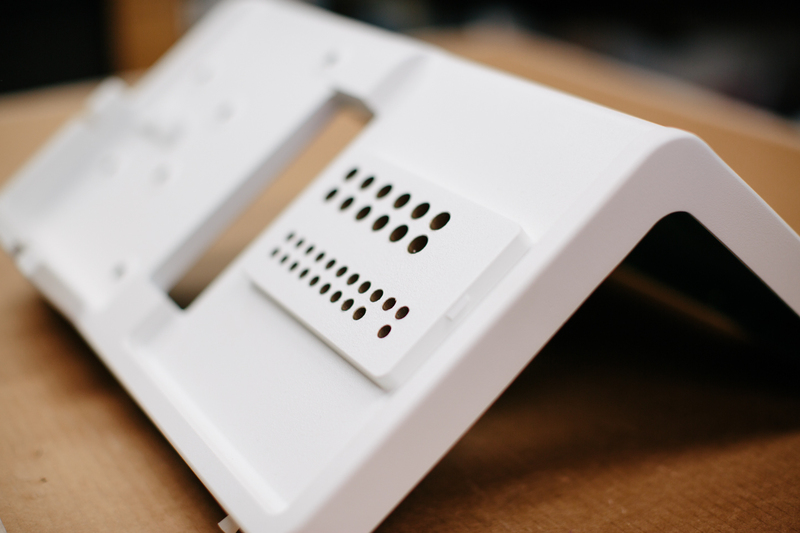 Many special electronic chassis and covers need specialized masking, painting, texturing, and silkscreening. We can deliver quality. Triad applies conductive coatings for shielding of sensitive electronics as well. Triad has the expertise to finish off-shore and well drilling equipment. 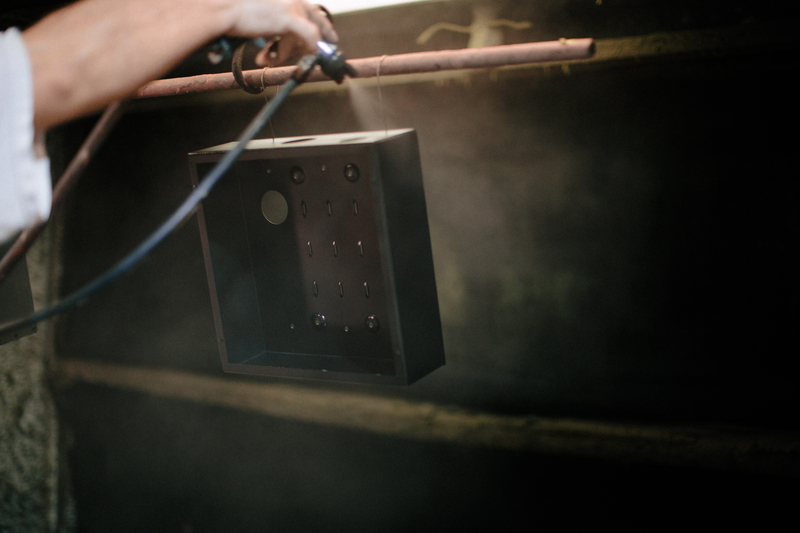 From sandblasting and zinc primers to epoxies and urethanes, we can provide you with a complete 3 coat system that is specified by the end user. We have the ability to measure coating thickness, gloss and other test procedures to certify a quality coating. No Way?! Todd, I can't express how much that helped us out. I owe you one. Todd, thanks for the fast turnaround on these. Hello Todd, that was fast. I wanted to say thanks for the quick turn around on the part. As always, it's a pleasure working with y'all. 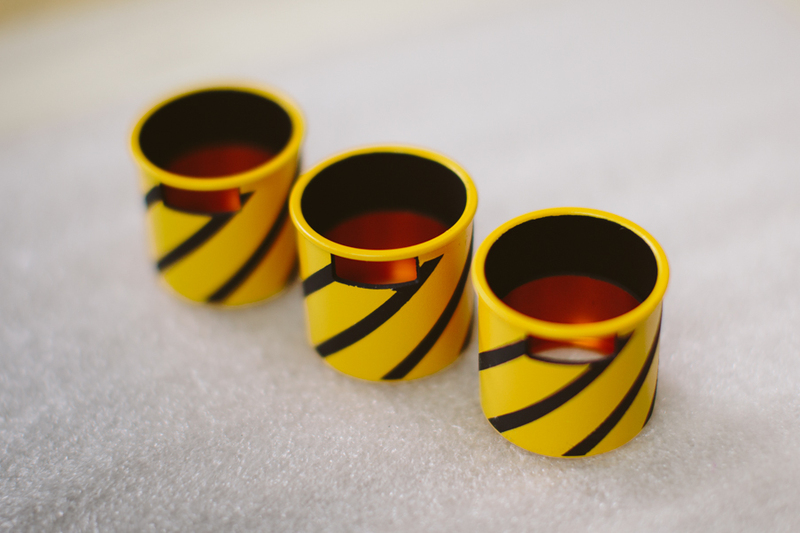 © 2019 Triad Product Finishing.